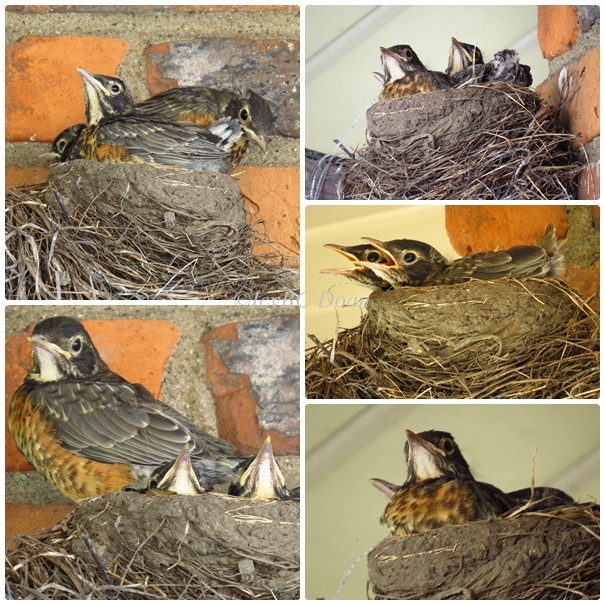 This nest was at the corner of my front porch, so I get to watch them every day and boy, they did growing up over night. One morning, I saw all three fighting to fit in the nest. When I see one of them taking a few steps outside the nest, I knew they are leaving soon and sure enough, they all left on Sunday. The nest is now empty with one rotten egg left, and I don't see mama or babies anymore. They are so cute at this stage! They will soon be learning to fly! 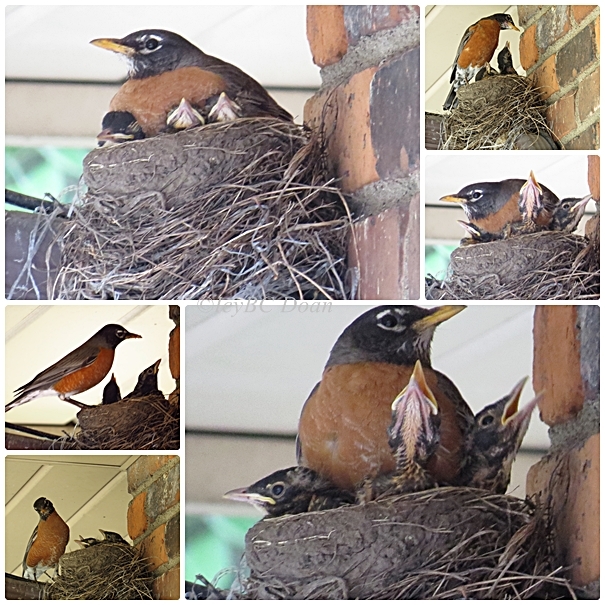 Beautiful views of the Robins in the nest. 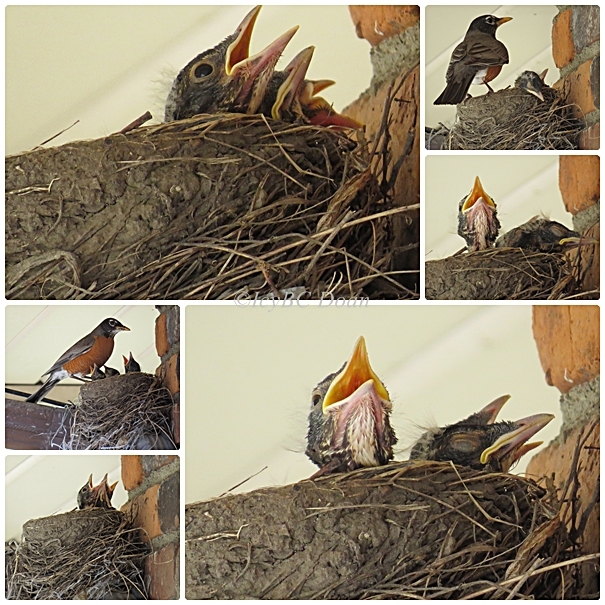 Oh wow, I love this series of Robin on the nest. I love seeing those cute little mouths reaching up! Adorable post and photos. Have a happy week! What wonderful photos--the details and colors are terrific. oh, they are just so cute and so precious. Oh my - how adorable! They grow up and fly off so very quickly! Lovely images. Great captures!! Boom, Bobbi and Gary. Great photos! They are so cute at this stage. They are also eating machines!